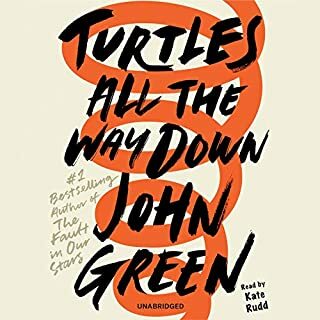 Not only does John Green deliver his usual beautifully crafted cry fest, but as a person with a mental illness, this stuck a chord deep within me. It provides a voice to the very abstract in a wonderfully accurate and complex manner that is very hard to find. I'm not usually a fan of audiobooks, as I prefer pacing the story according to my emotional responses, but Kate Rudd delivers an entrancing performance that I was unable to stop listening to for longer than 10 minutes, even though I got this book way too late in the day for it to be appropriate to consume it in one sitting. It's 1:47 am on the 11/10/17 as I type this. That's how good this is.